Do you want to make a difference this holiday season? A simple gesture from you could substantially change the life of someone in India. 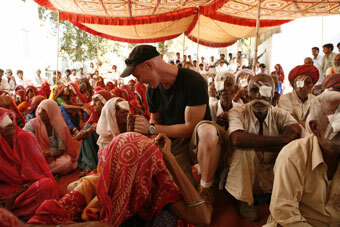 Without leaving home you can restore the sight of someone blinded by cataracts. An $85 tax-deductable donation allows our teams of Relief Riders to deliver cataract surgery to one person in rural Rajasthan this winter. You can be an integral part of this year's Relief Rides by helping us give goats to families living on less than $1.25 a day. Goats are one of the best sources of nutrition for a rural family and provide the opportunity for a possible new revenue stream. 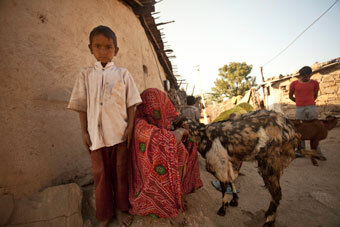 A $100 tax-deductable donation helps us provide one goat to a rural family. If you are unable to join us on a Relief Ride in India this winter we invite you to be a part of this amazing experience and help our riders deliver medical, dental and eye care to hundreds of rural Indian men, women and children. Together we can make more of a difference. Click here to make your tax deductible donation for a goat(s) or free eye surgeries. 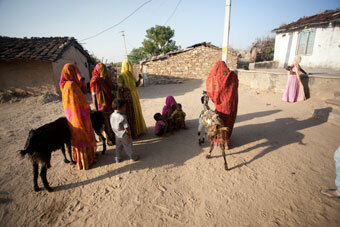 There are few spaces still available on our Indian and Cappadocia Relief Rides. It's never too late to join us on an incredible adventure! Wishing all of you a wonderful Holiday season and Happy New Year! "There comes a time in the life of a flower that the pain of staying tightly enfolded in the bud becomes greater than the pain of unfolding into bloom."